As an oral surgeon, you know that your patients have questions. Some may also have anxiety about the procedures they need. At Optimized360, we believe in letting your website do the talking. A carefully designed oral surgery website can draw your patients in and help them feel better connected with you and your team before they ever step through your doors. Since we work specifically with professionals within the dental and medical communities, our team is familiar with the many facets of operating a surgical practice. In addition to creating eye-catching custom web design, we also build elements into your site that improve search ranking and help to enhance your brand. Patients and doctors are looking for oral surgeons in your area. Let us help you reach them. 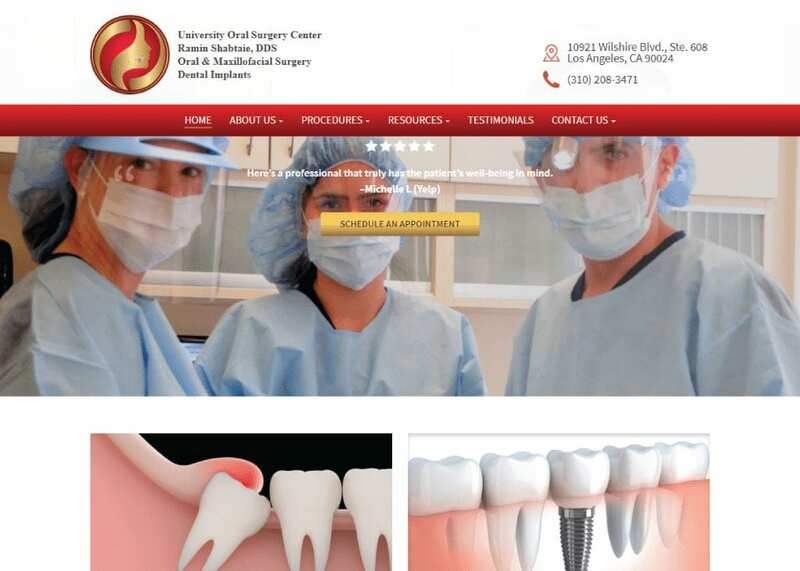 Contact us today to speak with a personal design consultant about your new oral surgery website.